Ricardo Brown (born November 23, 1972), professionally known as Kurupt the Kingpin or Young Gotti is an American gangsta rapper. He has also worked as an actor, in films such as Hollywood Homicide and Johnson Family Vacation. Although raised in California, he was born in Philadelphia, Pennsylvania. His rapping debut was on Dr. Dre's The Chronic in 1992, as a part of the duo Tha Dogg Pound with Daz. The two were among the first acts signed to Death Row Records. He released an album with Daz called Dogg Food in 1995 on Death Row Records. His rapping debut was on Dr. Dre's The Chronic in 1992, as a part of the duo Tha Dogg Pound with Daz. The two were among the first acts signed to Death Row Records. He released an album with Daz called Dogg Food in 1995 on Death Row Records. Kurupt became friends with the late rapper Tupac Shakur when Tupac signed with Death Row in 1996, and it was Tupac who gave him the nickname Young Gotti. In 1997 Kurupt left Death Row records for a position at Antra Records as an A&R, but still remained on good terms with Suge and appeared on many albums published by Death Row. In 1998 under Artimus Records he released a double album called Kuruption which went platinum. Shortly after that he released The Streetz is a Mutha which also went platinum. In 2001 Tha Dogg Pound released 2002 under Death Row and Gotti & Dillinger under DPG and Artimus Records. That year Kurupt also released his third solo LP Space Boogie. In 2002 Kurupt met back up with Death Row CEO Suge Knight shortly after he got out of jail and re-signed with Death Row Records (now renamed Tha Row). By signing with Tha Row, Kurupt started a feud with Daz, Snoop and all of the DPGC, his old friends. In 2005, Kurupt finally released the long-awaited album Against The Grain. It was constantly delayed and though it was to be the first original musical release from Tha Row in many years, it was finally put out via Koch Records, which at the time distributed Death Row albums; they were sold all distribution rights. However, Kurupt and his label blamed lack of promotion for the release on heavy editing by the Koch staff. On April 13, 2005, Kurupt reunited with his fellow Dogg Pound mates through the peace meeting labelled "Protect the West", in which several other West Coast rap icons united to put aside their differences in hope of banding together to bring the West Coast back to prominence in hip-hop. Snoop Dogg organized the gathering at which he also made peace with Kurupt's label CEO Suge Knight. At this time, Kurupt also introduced to the world his latest protege, the rapper Immense. The two met in 2001 and Kurupt became his mentor soon after. He then took Immense to Def Jam president and Roc-a-Fella Records owner Jay-Z, whereupon Jay signed him as the first artist on "Roc-A-Fella West", a West Coast extention of the Roc. From 2000, Kurupt was in a relationship with the female rapper Natina Reed of the group Blaque. They were going to get married in August 2001, but delayed the marriage for career reasons. Ultimately, their commitment did not last after that. 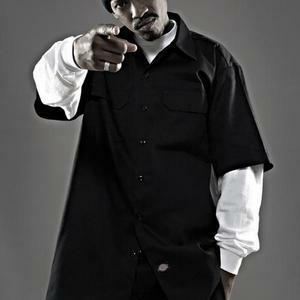 Aside from being a solo artist, Kurupt is also a member of a number of Hip-Hop groups as well. In 2000, Kurupt teamed up with Canibus, Ras Kass and Killah Priest to form rap supergroup The 4 Horsemen. Later on, he began the supergroup The Riflemen with Mobb Deep, Jayo Felony, 40 Glocc, and The Alchemist.